What is Wrong with this X Ray Transformer? An x ray machine is the oldest and most commonly used medical imaging device. The rays travel through the body and are absorbed in different amounts by different tissues. Consisting of four main parts – an x ray tube, an x ray transformer, a tube stand and a control panel – an x ray machine is used for medical diagnostics. Due to the very nature of medical equipment – people’s lives depend on successful functionality of all x-ray machine components. Broken bones, fractures, pneumonia, chronic lung conditions, cystic fibrosis, dental and arthritis are just a small example of conditions that an x ray reading can help a doctor with proper diagnosis. Badger Magnetics was contacted by an x ray machine manufacturer with transformer failure issues. The customer went on to explain the series of events. When the x ray transformer is received, the transformer passes quality control testing. But, when the machine is moved to their customer’s site and is installed, the transformer fails. Badger Magnetics obtained one of these failed transformers from the OEM. After tear down and analysis of the offending transformer, Badger concluded that the wire pitch (turns per inch) of the transformer was inconsistent, causing the transformer to fail under load. Because Badger Magnetics is an ISO9001:2015 certified facility at their Colorado location, they were able to decipher that this particular unit was assembled using manual layering. Badger Magnetics’ quality control has now implemented new protocol for transformer testing. During the development phase of the x ray machine transformer, Badger closely monitors if wire pitch will be a factor. Badger provides control samples to the OEM with intentionally bad pitch and with machine controlled pitch. Providing these samples has cut down on transformer failures in the field tremendously. Badger realizes that it is extremely important to work with the customer when manufacturing such critical medical machine components. 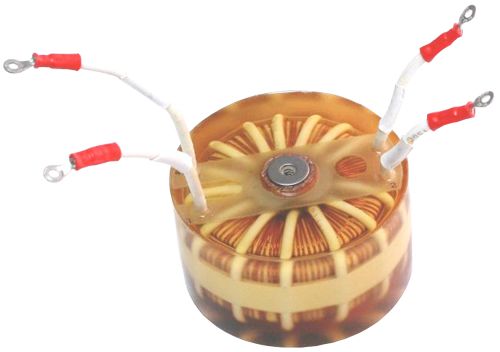 Badger Magnetics custom designs and manufactures wound transformers, coils and toroids for a wide array of OEMs. Their products are sure to meet the highest of standards. Contact Badger today for your custom quote.